The author will attend the largest book festival in the country to sign copies of her children’s book as well as share her story of hope and victory over cancer. Written with honesty, love and understanding, this children’s book will positively impact the patients and their families. Most authors would steer clear of the difficult subject of cancer when writing children’s books. Most people believe the subject – along with the difficult theme of death, in general – should never be mentioned in children’s literature. Not Diane Davies, a retired elementary school teacher and cancer survivor, took it as an inspiration to write “Jeannie Ann’s Grandma Has Breast Cancer” (Beaver’s Pond Press; 2019). 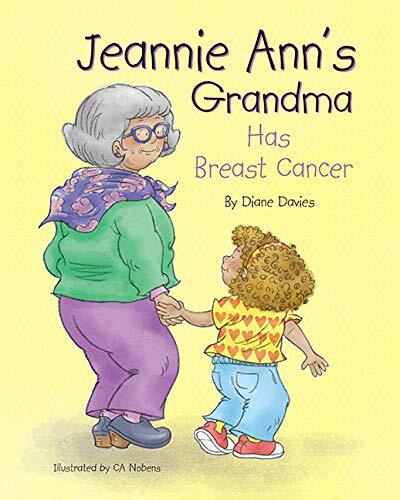 Illustrated by CA Nobens, “Jeannie Ann’s Grandma Has Breast Cancer” is Davies’ second children’s book and fourth book overall. It is a story of a six-year-old girl Jeannie Ann whose grandmother has breast cancer; it is also a moving, powerful tale of hope and love amid cancer. Davies looks for a better, more informative yet creative resource to explain this dreaded disease – and the pain it brings – to children. The experience somewhat helped jumpstart her career in writing. In a radio interview, she said: “In 2004, when I was diagnosed with breast cancer, that’s kind of when my writing career started. That’s when I decided, in order to get my brain around, what was happening to my body, I needed to write it down. So, I started a journal.” That daily journal became her first book: “From There to Here; A Breast Cancer Journey,” published in 2015. Diane Davies’s “From There to Here; A Breast Cancer Journey” and her other children’s book “New Friends: Life in the Neck Book 1” will both be exhibited at the 2019 Los Angeles Times Festival of Books at the University of Southern California in Los Angeles, CA. Davies is one of the authors who will have a book signing session, which is scheduled on Saturday, April 13, 2019, at 2:30 PM to 3:30 PM. Don’t miss this opportunity to meet the author and hear her story of hope and victory over cancer. Diane Davies traveled her own breast cancer journey in 2004. The blessings of a wonderful family, supportive friends, and an outstanding medical team made it possible for her to come through the experience stronger, wiser, and filled with a need to reach out and help others. She has volunteered with the Hastings Breast Cancer Support Group to produce a DVD series entitled “Voices of Hope” and published the books “From There to Here: A Breast Cancer Journey” and “Breast Cancer Saved My Life.” As a Bush Fellow, Davies also helped create a nonprofit advocating for breast cancer patients.